SBTech, the fully managed source for sportsbetting solutions and renowned provider of online wagering services, has indicated that 10Bet.com, a popular Internet gaming site and sportsbook, will be the first to go live and join the mobile industry with an innovative HTML5-based mobile wagering platform. This new sportsbook, designed for the mobile gaming enthusiast, will offer punters the opportunity to access a wide range of sportsbetting games, including 8,000 events that take place throughout the season. It will also allow individuals to fund their accounts and make withdrawals using the special banking and transaction features built in within the same mobile application. Itai Zak, the Chief Executive Officer for SBTech with locations in Israel, Bulgaria and Gibraltar, stated that the company realizes how much importance their sportsbook clients place on the ability to bet while on the go. 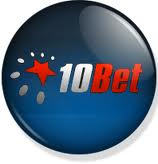 He added that he’s certain this will contribute to 10Bet.com obtaining a bigger market. Mr. Zak suggested that players want to be included in the action and they don’t just want to place wagers, they also want to witness events in real time. They are used to following the events on television or by catching the events live. The good news is that this amazing product will allow them to follow events and get up to the minute results in real time. SBTech explained that the new mobile product from 10Bet.com has been created to be compatible with the industry’s leading smartphones, tablets, and big sellers like the iPad, iPhone and Androids. Daniel Caswell, head of Player Affairs for 10Bet.com, commented that the company is extremely happy to be going mobile. He said that most customers have asked for a way by which they could place wagers while on the go and the SBTech team has done a superb job in provide such services. He’s sure that the new mobile wagering app will be welcomed as it promises to wow players with its amazing features.